A recent found that a smile showing a set of shiny white teeth is a key to more successful interpersonal social and professional interactions. In fact, white teeth have always been considered a personality and ego-booster. Another survey on “finding the one” also revealed that 58% of men notice a woman’s teeth first when judging whether they would want to go to the next level. There are lots of don’ts for those who want pristine white teeth. High on the list of things to avoid or minimize are coffee, tea, cola, and red wine. Cigarettes stain the teeth, as well as poor dental hygiene habits. Some medications can also discolor teeth of your kids. Old age and genetics are factors that you just can’t contol. There are many ways to reverse this darkening of your teeth but most are not long-lasting and ineffective. Today, Zoom has become popular as a bleaching procedure that can be your best option to alleviate discoloration of dentin and enamel. However, this whitener is not an ordinary OTC remedy; you have to consult a dentist to find our if Zoom in-office teeth whitening are right for you. Dr. Doria will perform a thorough examination of your teeth and gums, evaluate your oral hygiene and lifestyle to determine if the procedure is right for you. During the evaluation, we will check your existing dental work, like crowns and veneers, whether they are responsive to the conventional whitening agents. The complete Zoom –in-office whitening procedure takes less than an hour, but regular teeth cleaning is recommended prior to the actual Zoom session. The first step is to cover the lips and gums while leaving the teeth exposed. The dentist applies the whitening gel consisting of hydrogen peroxide while a Zoom light is directed to the teeth to dissolve discoloration and stains. The gel stays in place for around 15 minutes while the light is activated. There is no pain as you relax, think happy thoughts, watch TV or listen to music. The gel is applied for three 15-minute sessions with the activated light making the total treatment about 45 minutes. Immediately following the session, fluoride gel is applied to the teeth reducing sensitivity. You will be given a Zoom touch-up kit for home-use as part of the procedure; it comes with custom-designed fitted whitening trays. Dr. Doria will give complete instructions as to when and how to use this touch-up kit. To maintain the whitening effects of your Zoom treatment, you will be provided a list of certain foods and beverages to be avoided and those to be consumed in moderation to avoid staining your teeth. This includes coffee, cola, red wine, tea, etc… To maintain the whitening procedure, you will also be advised to buy toothpastes containing whitening agents. 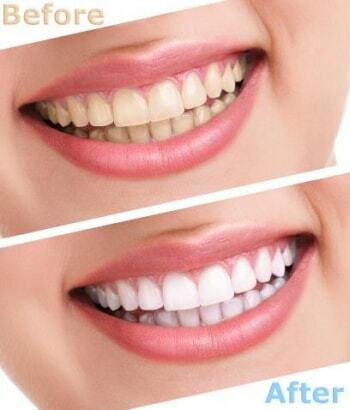 Zooming is not a do-it-yourself procedure; you need a dentist for this professional strength tooth whitening process. 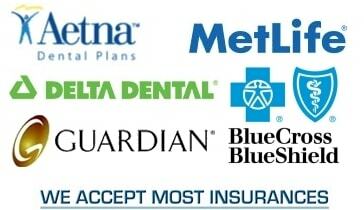 Just contact Dr. Doria and his dental team for your cosmetic dental solution. We have done Zooming to many clients who are now giving the most beautiful smiles with the whitest teeth. Schedule a visit to Dr. Doria’s Bayonne, New Jersey office by calling 201-823-9100.